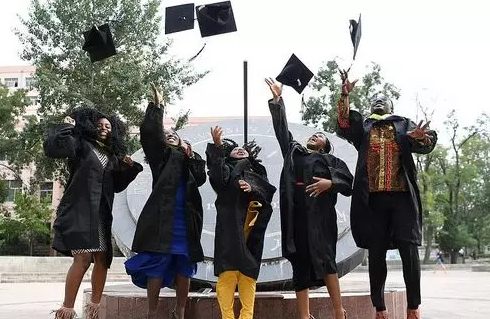 China will allow international students at Chinese universities nationwide to take part-time jobs during their studies to make the country's higher educational system more attractive, the Ministry of Education said in a statement provided to China Daily exclusively. In 2016, the Ministry of Public Security implemented new policies to allow foreign students recommended by their host universities in Beijing to take part-time jobs with companies in the city's Zhongguancun Science Park or become involved in entrepreneurship in the area, where they get an annotation of "entrepreneurship" added to their student visa. In early 2017, the central government introduced a program for international students with postgraduate degrees or who had attended "well-known" universities to obtain Chinese work permits after graduation. Previously, international students and those with degrees obtained overseas had to have a minimum of two years' work experience outside China before they could apply for a work visa. The 21-year-old Tsinghua University student finished an internship at consultancy firm KPMG, where he analyzed China's outbound investment trends. He will soon start another internship at ride-hailing company Didi Chuxing. "I love China. I have a girlfriend here, and I'm ready to start my life here with her after I graduate," he said. Prev: How to say "do someone a favor" in Mandarin?